The entire room was made with found materials from the SF Dump. The glass panels in loft were made by an artist in residence there. Floating bed from scrap iron. Ten by ten beams used as risers. 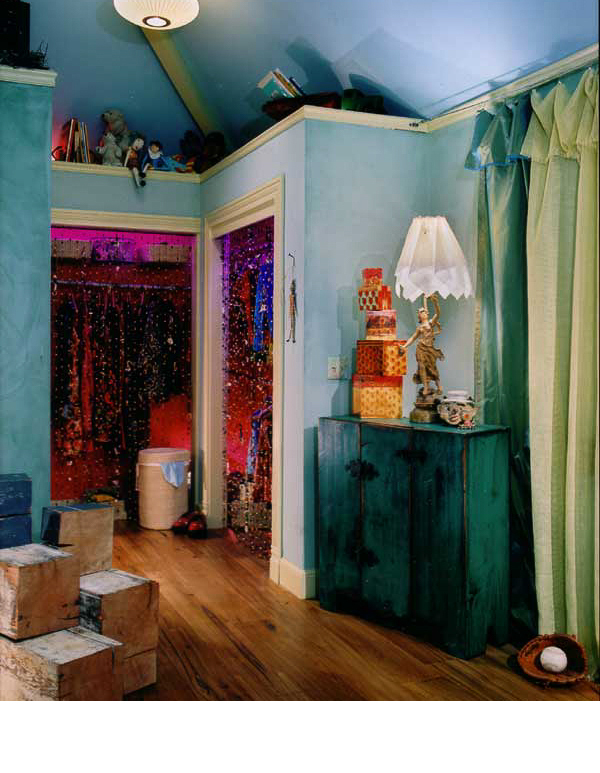 Interior of closets painted in magenta with washed blacklight. Curtains of cotton netting and silk made with hand stitched border. Walls were made with torn paper bags and magazine scraps. 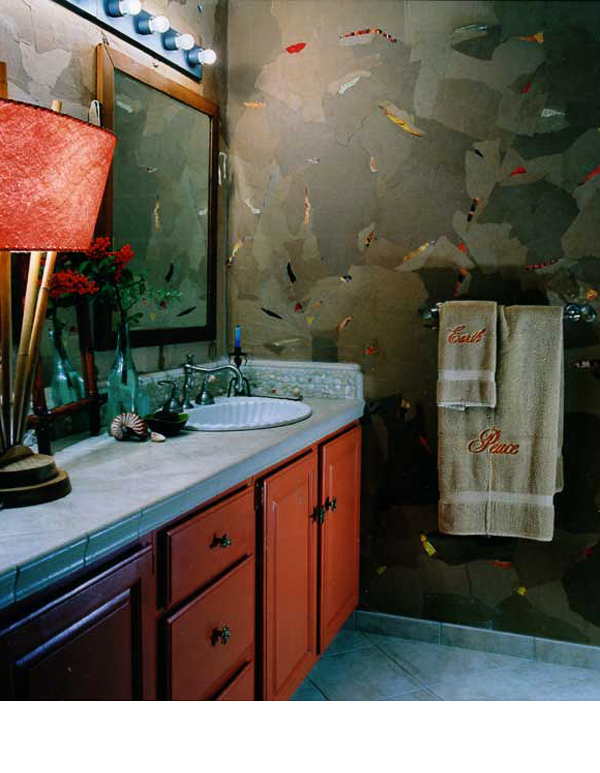 Backsplash was a tumbled marble replaced in areas with shells. The first Marin Designer's showcase I designed, was built in collaboration with Eric Corey Freed, an architect with green sensibilities at the very beginning of the movement towards sustainable construction in the bay area. 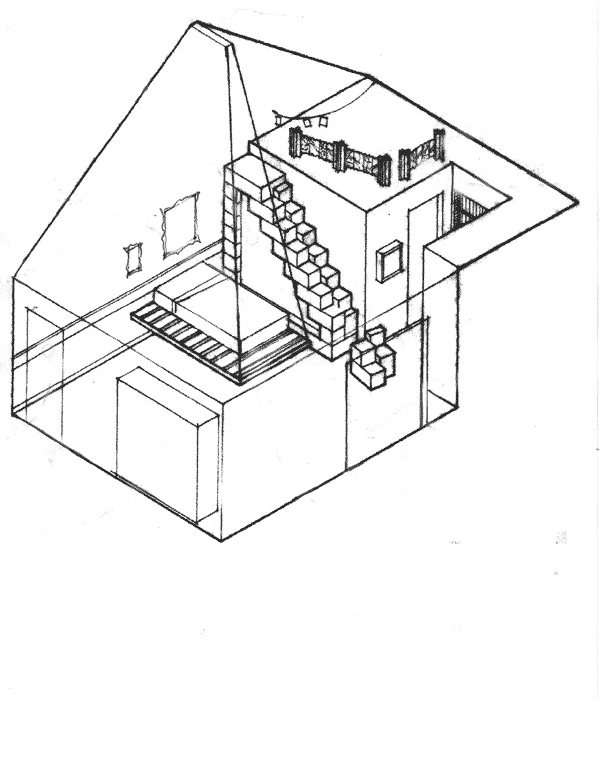 I asked him to use only re-use materials beginning with some old 10" by 10" beams seen here as the stairway to the loft The bottom of the stairs is a moveable section making it pass code although I wouldn't suggest it, without a guide wire rail. All the walls were painted with lyme paint as you see in many of my projects. We used and replaced as little as possible from the existing room. The project was picked up for a feature on HGTV Sensible Chic Show.